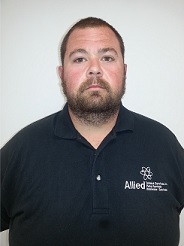 Andy is the Technical Manager at Allied. 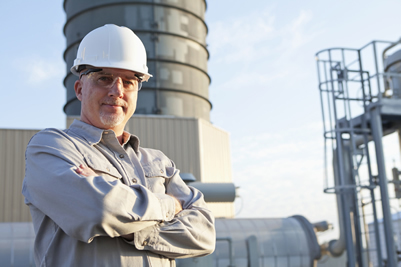 He started off as a pump technician and subsequently worked his way up to his current management roll. As a pump technician he learned about pump maintenance and was later sent to Godwin school to learn more about pumps and fluid dynamics. Before coming to Allied, Andy began his career working in construction as a heavy equipment operator for 16 years. His projects included demolition, laying water lines, sewer force mains and storm lines. Through his experience he has been able to adjust to many circumstances. 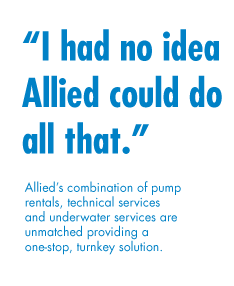 Allied takes pride in their emergency response and Andy plays a big part in being sure responses are quick and smooth. Being able to attack challenges head on, as well as being a part of fusing HDPE (high density ployethylene) jobs, are where Andy finds his passion to work hard, safely, and do the job right. In his spare time Andy enjoys spending time with his family. They enjoy riding 4-wheelers, dirt bikes and going fishing on the weekends.